Designing a two-storey home comes with certain, somewhat predictable challenges. If the walls are made from brick or stone, the facade can easily look quite heavy simply because it covers so much space. This is particularly evident in a multilevel home set on a sloping block. But there are lots of ways to avoid this problem that we will cover today. There are also plenty of benefits to a two-storey home design. With the right materials and window placements, you can create a home that really seems to soar above the earth. it could look airy, minimalist and totally inspiring. If you live in an urban area, the second level could also be used to cleverly integrate your parking areas or entertaining areas too. So let's check out the options in photos. The best thing about this home is the great contrast between the classic old tiled roof and the super clean and minimalist glass walls. 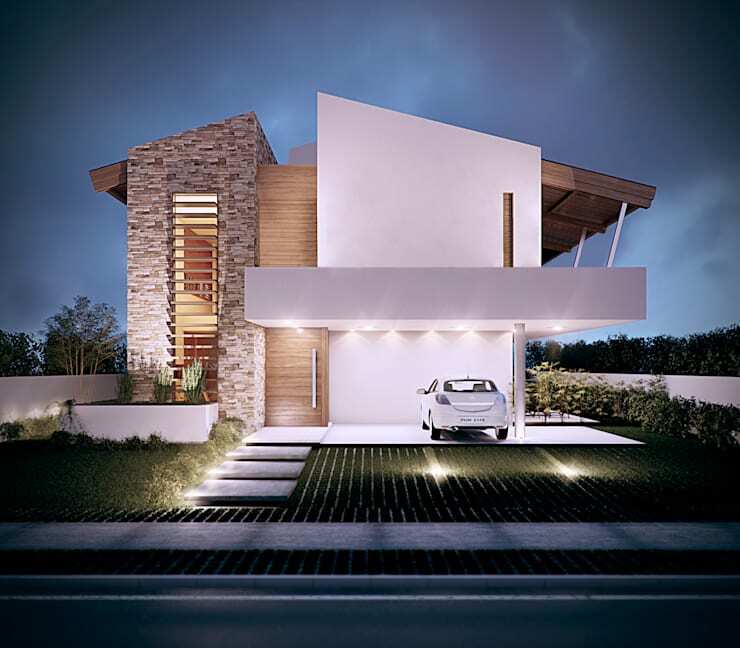 This is one two-storey home with a very light and appealing ambience. 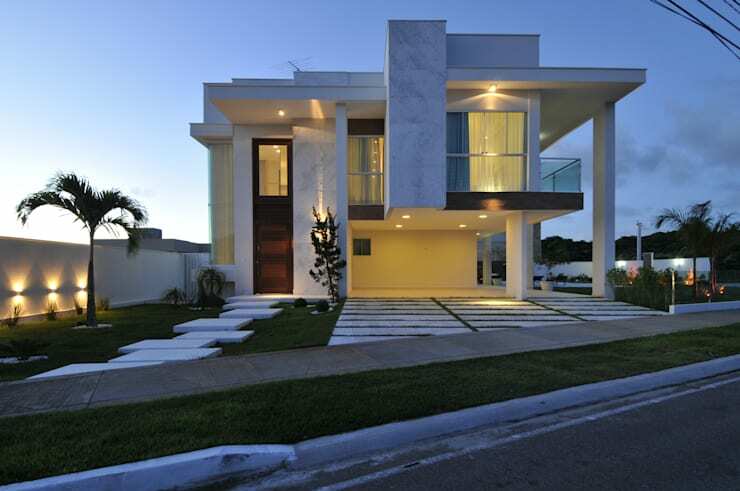 The great height of this two-level home has been accentuated with a series of narrow vertical beams. The effect would have been somewhat overwhelming if it weren't for the open design of the driveway and the large glass windows. The walls and roof of this modern wooden home are made from the same material. It acts as a sort of envelope around the home to create a very simple, cohesive look. 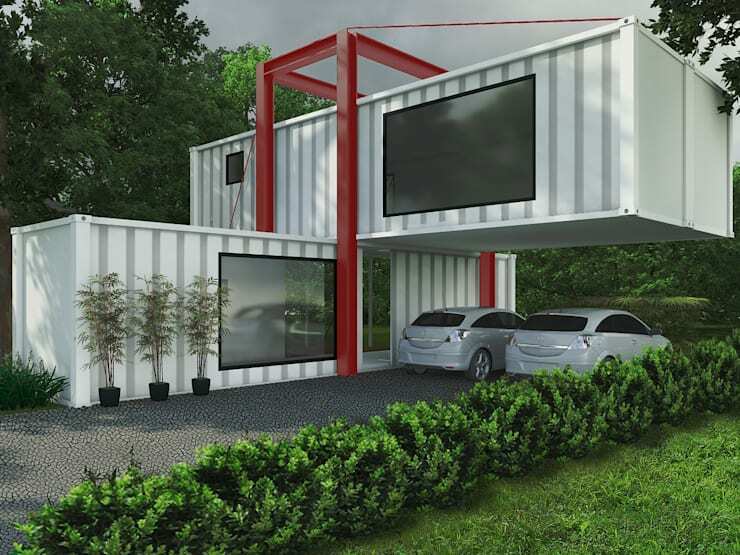 Shipping containers are very sturdy and easy to stack up on top of each other. These ones have been arranged to create a great open air parking area. Tudor homes absolutely exude an old classic feel. 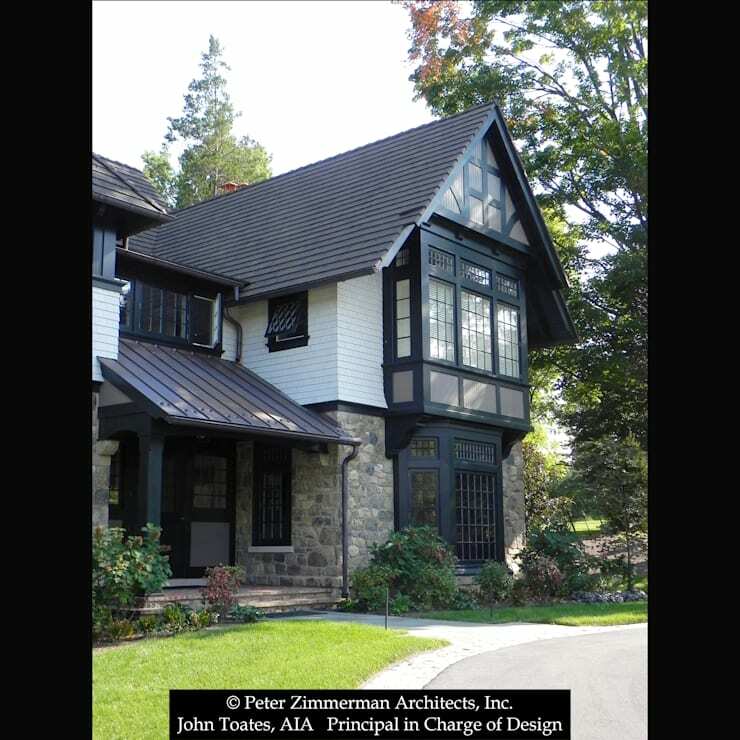 This one is sure to provide plenty of inspiration to those who want to explore the space created by a peaked roof. Old stone Mediterranean homes like this were built for rural people who enjoyed the simple things in life. 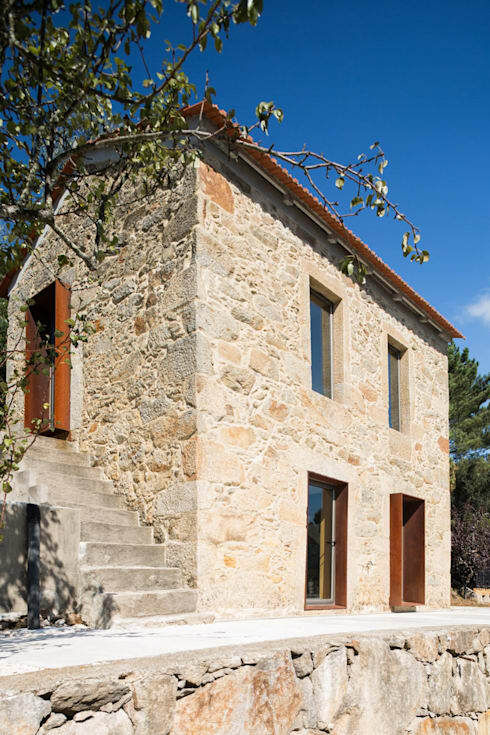 The windows and doors of this one have been simplified and opened up to create a brighter, lighter and more open effect. 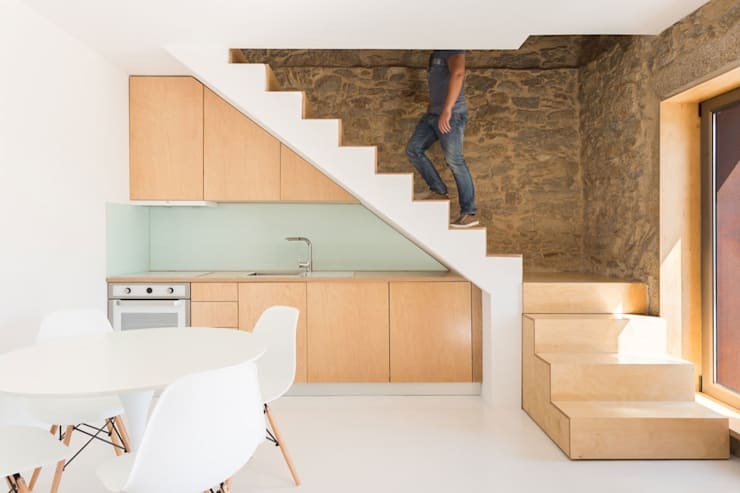 Let's not forget that a two-storey home also brings the opportunity for some clever staircase designs. This one even has space for a modern kitchen! 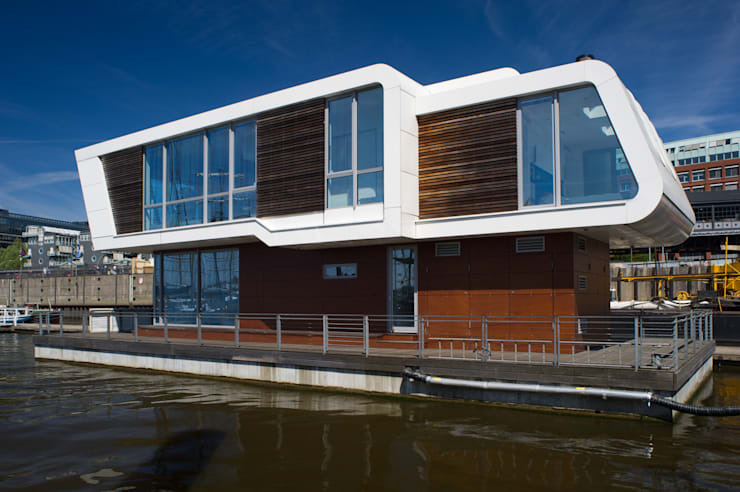 This luxurious houseboat has a slightly larger upper level. It draws the eye upwards and gives the home an airy quality. 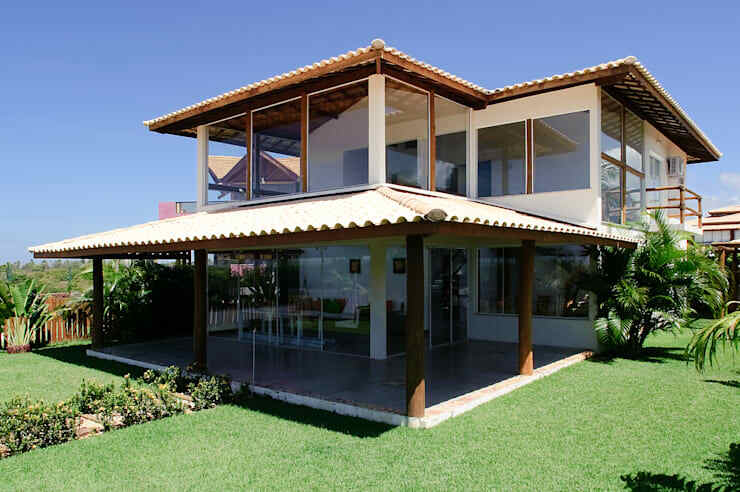 The protruding area also provides good wraparound shelter for the outdoor space or patio. Another good way to lighten up the visual weight of a two-storey home is by using a whole bunch of different materials and shapes. This modern home is sure to inspire some experimentation. Finally, we'll travel a little closer to home to explore this rooftop garden by Singaporean professionals Guz Architects. 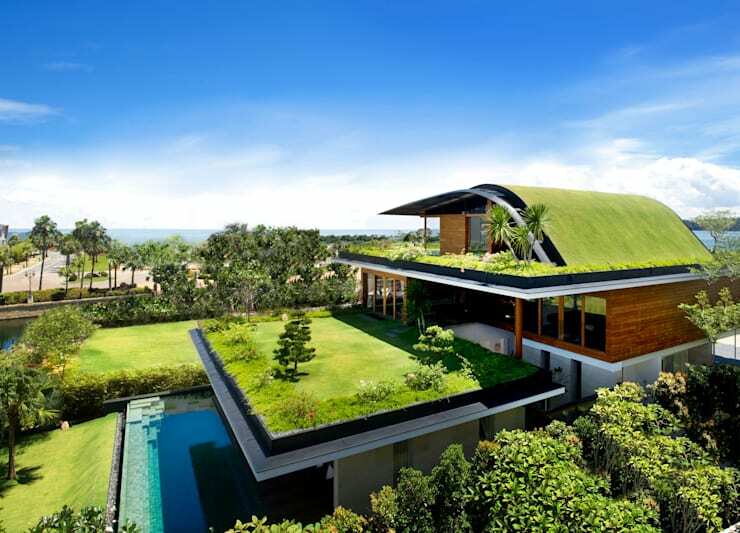 The lush green roof certainly grounds the second level of the home! Now let's have a look at some ideas for using that vertical space with the perfect project: A young couple built their dream home for HK$650k. Which of these homes caught your eye?